The 12 Days of Kindness – I created this blog in 2013 to celebrate Melinda’s and my 50th birthdays, which happen to be 11 days apart. Each day, starting with Melinda’s birthday through mine, I encouraged people to complete an act of celebratory kindness. French Sabbatical – This is my first blog, started on 1 July 2010, the first day of Melinda’s and my year-long sabbatical and when we took our daughters to live in France. I posted here EVERY DAY for a year! 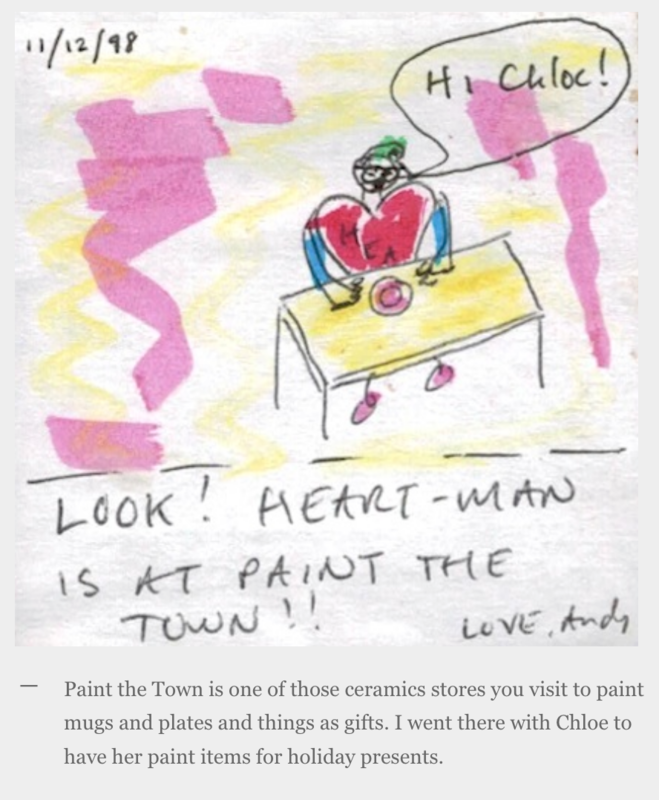 Heartman Comics – What I think may be my sweetest blog, this is a record of the tiny Post-it note drawings I included in Melinda’s and my daughter’s (Chloe) lunch in 1998 when she was in kindergarten. Poems From Page 143 – An ongoing blog in which I encourage people to submit to me a poem they create by blackening out words on page 143 of a book they like. Spring Break Happy Hour – Instead of going out of town for spring break, in 2014 Melinda and I stayed home and created a personal tour of local happy hours.